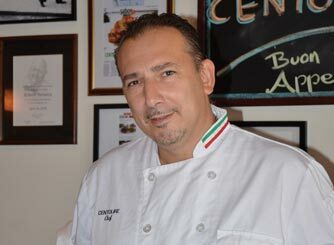 Neapolitan chef Roberto Patriarca came to SOMI in late July via Naples, Italy and Brooklyn, New York. That’s easy to tell when he speaks to you tableside about traditional Italian cooking and you savour food from his Italian kitchen where everything is handmade and cooked to order. 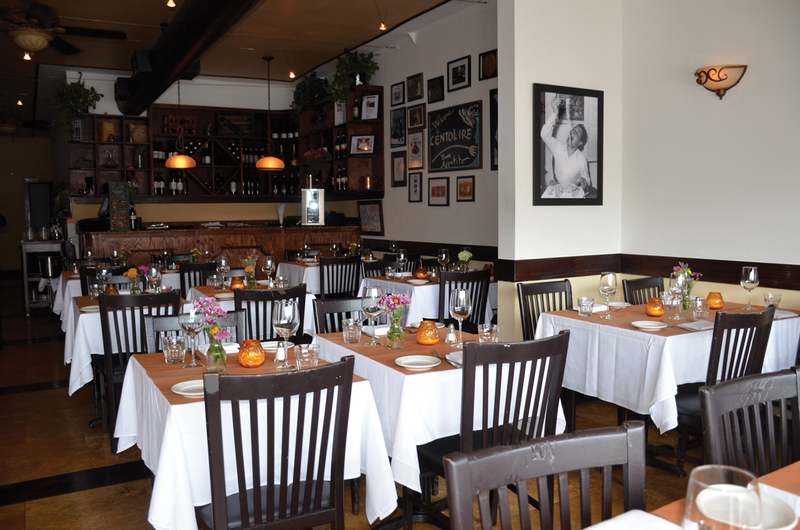 La cucina Italiana now lives in SOMI. The chef has some thirty years in the kitchen. Born in New York, his dad had a restaurant in the Upper East Side. His family moved back to Naples when he was two. Growing up in Campania and Lazio he came to appreciate the right way of preparing an Italian meal. He graduated from the Instituto Ippolito Cavalcanti of Naples, and subsequently returned to New York and the Bay Ridge section of Brooklyn. It was there he opened a restaurant/pizzeria called “Brooklyn Central,” named after the first train stop in Park Slope Brooklyn. He also later opened Spina restaurant in the East Village. The chef was selected to cook at the James Beard Foundation for special occasions. …And the fifth station in the restaurant hierarchy is Executive Chef. Meet Chef Julia, who has move through the four and now achieved that status with the opening of her Sunset Drive restaurant. The number five could also figure in with the number of women who have nurtured and fostered the chef’s culinary quests. 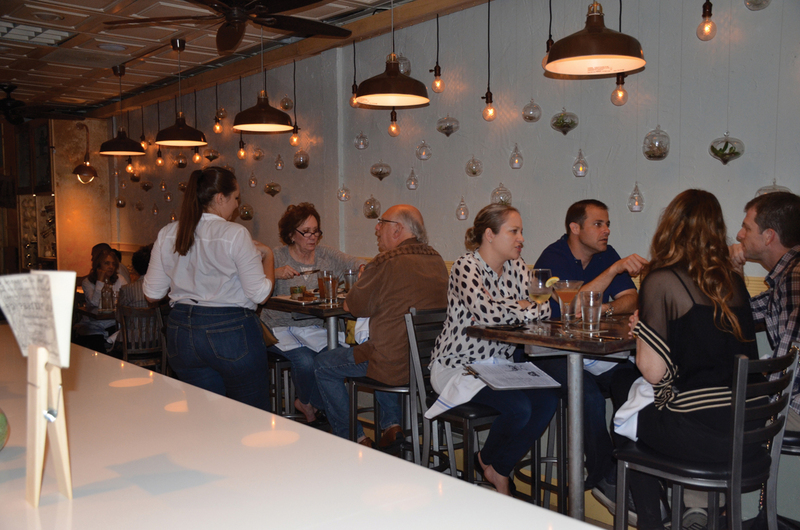 These include her two grandmothers, Nonna Daniela who comes from Sardinia, the other restaurant partners’ mothers and Mama Pai of the Khong River House, where the chef worked one year prior to opening 5 Station. “Love through food,” says Julia. It was happenstance that brought the partners and the chef together. And not only has Chef Julia taken on the responsibility for developing an eclectic and creative menu, she also designed and built-out the restaurant. 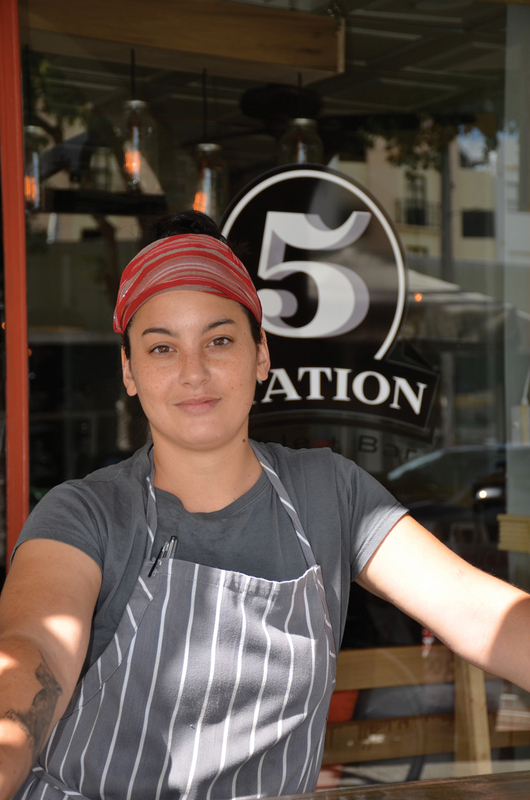 The culinary influences of her oriental-European heritage, her women mentors and the time she spent in Boston and D.C. working with other restaurant chefs while at school, brings us to her culinary vision for 5 Station: a harmonious blend on the menu of a culinary cultural collection. “American food is being more than hamburger. We are literally the melting pot of many cultures. 5845 Sunset Drive | 305.668.7405 | Dinner served seven days. 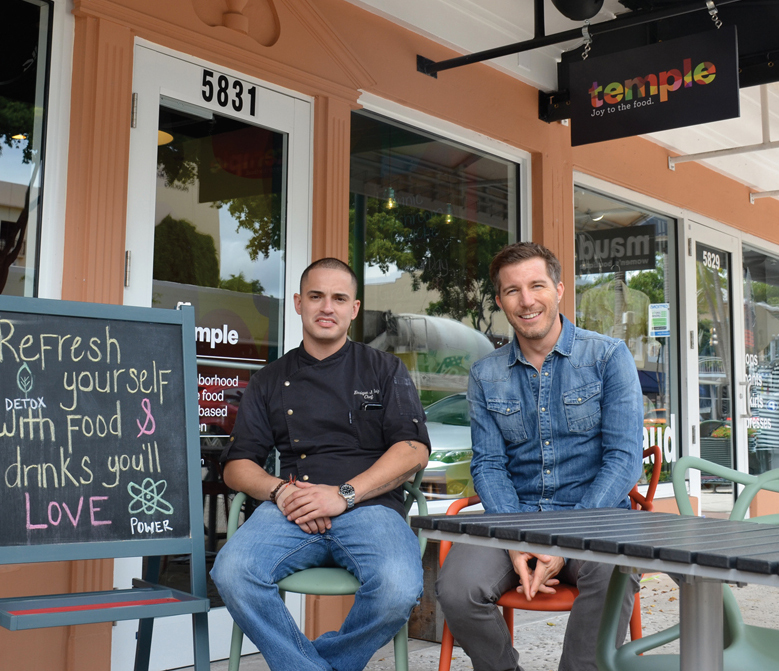 “Your body is your temple,” says Chef Enrique Ruiz matter-of-factly. 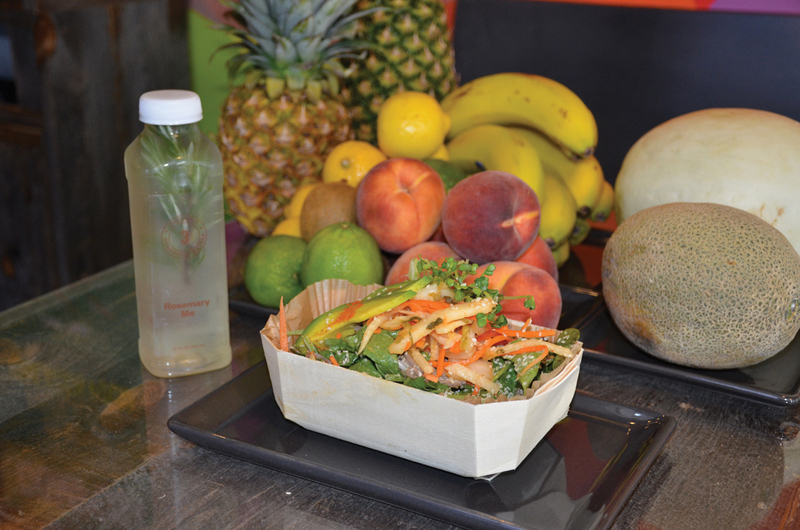 And so at Temple on Sunset Drive, your body is nourished with whole food plant-based food and drink. In development for three years, the concept was created by Swiss entrepreneurs Sebastian Petro and Olivier Jarden el-Hinx. Both gentlemen are also executives for Nespresso® managing operations in the USA and France. They travelled extensively throughout Europe and the United States in fine tune their vision, and along the way, they engaged a creative agency in London, an illustrator in New York, and a graphic designer in Geneva. Like the movements of a fine Swiss watch, attention to detail and precision of execution are essential to achieve the goal to “make people happy.” This is the goal of Temple..
“Charge yourself before you charge your phone,” is one of the humorous and friendly approaches to the menu. Temple serves up breakfast, smoothies, cool crisp salads, steamed and savory baskets, hot pots, energy pots and soups, cold-pressed joyful juices, wonderful waters, magical milks, elemental elixirs, and parfaits. 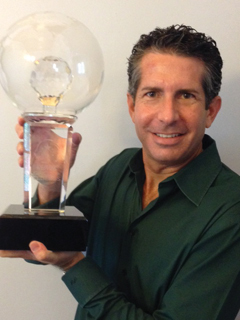 Anthony Askowitz, broker/owner of RE/MAX Advance Realty (RMA) has been presented with the RE/MAX “Circle of Legends” award, honoring highly successful agents who have earned more than $10 million in commissions and completed ten years of service with the company. The award, created in 2001, has been achieved by less than half of one percent of all sales associates in the RE/MAX network. 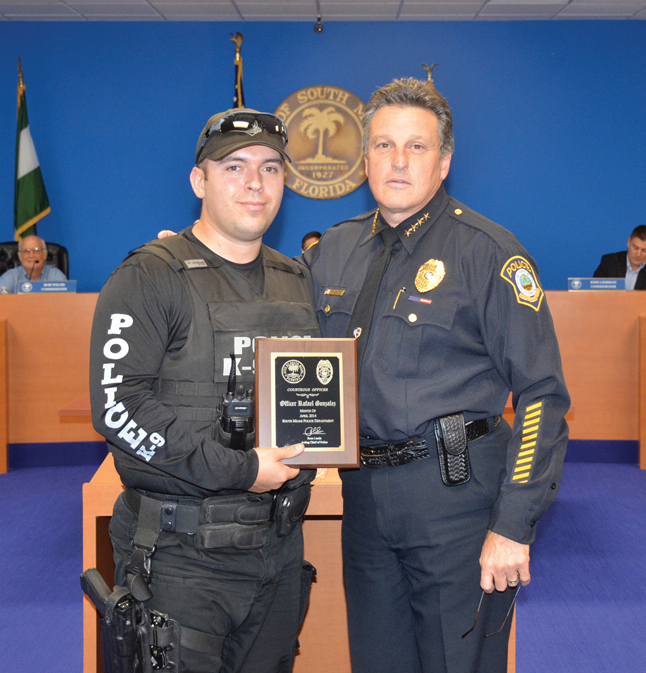 Recently K-9 SMPD Officer Ralph Gonzalez was presented with the Courtesy Officer of the Month Award by Chief René Landa. Officer Gonzalez has served the community as a member of the SMPD for the past five years. For two and one half years prior he worked as a teller at the First National Bank of South Miami while going school and the Police Academy. At FNBSM he was recognized as “Staffer of the Month.” Courtesy is a recognized trait in this man.